SIGGRAPH Student Volunteers provides integral operational support to the SIGGRAPH conference. 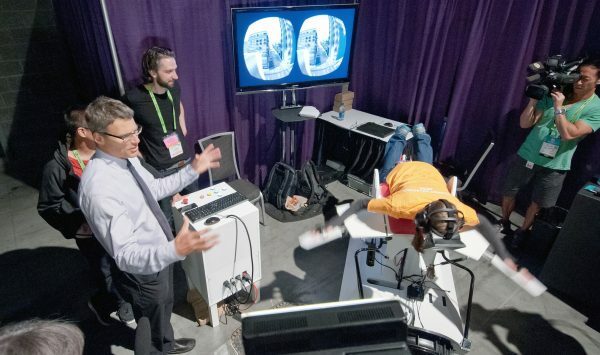 Help make SIGGRAPH 2019 happen! SIGGRAPH 2019 is building an inclusive team of the best students from across the world: passionate, hard-working, customer-oriented students ready to create incredible memories. In exchange for volunteering, Student Volunteers will receive a complimentary full conference registration, exclusive student volunteer perks, and opportunities to network. It is a great way to take a closer look at the computer graphics industry and community. This unique experience is available to students age 18 and up (on or before 28 July 2019) who are enrolled full time for at least one semester in high school, undergraduate, or graduate school during the 2018-2019 academic year. Students can apply to volunteer for up to 30 hours during the conference. Limited financial assistance is available to qualified applicants. Apply to be a Student Volunteer and come thrive with us at SIGGRAPH 2019 in Los Angeles! All SIGGRAPH Student Volunteers must earn their position through our application process. The Student Volunteer application can be found at sv.siggraph.org. To be considered, applicants are required to complete the entire Student Volunteer application, which asks for enrollment information, contact information, and several essay responses. Applicants are encouraged to put generous time, effort, and consideration into their applications. Out of fairness to all applicants, late or incomplete applications are not considered. There are no exceptions to this rule. The Team Leader application closes on 15 January 2019 at 22:00 UTC/GMT. The Student Volunteer application closes on 12 February 2019 at 22:00 UTC/GMT. After the 15 January 2019 Team Leader application deadline, all Team Leader applicants are considered by the Student Volunteer Subcommittee. Team Leader selection notifications will be sent in early February. After the 12 February 2019 Student Volunteer application deadline, all Student Volunteer applicants are evaluated through a blind jurying process that lasts from February to April. Student Volunteer applications are judged on quality, clarity, proper completion, and thoughtfulness. We’re looking for candidates who can clearly communicate, support, and demonstrate leadership skills, passion for service, enthusiasm, and the unique value they bring to our team. All Student Volunteer applicants with completed applications will be notified of decisions by 29 April 2019. All applicants who submit a completed Student Volunteer application will be notified via email by 29 April 2019. Financial Assistance notifications will also be sent out at this time. Accepted applicants will be required to complete an online confirmation form to secure their position as a Student Volunteer. The deadline for confirming their position as a Student Volunteer will be early May. Accepted Student Volunteer applicants who fail to confirm their position before the deadline will be considered declined. Once confirmed, all Student Volunteers will begin receiving communications from the SIGGRAPH Student Volunteers regarding pre-conference training procedures, onboarding materials, and avenues to connect with fellow volunteers before we arrive onsite in Los Angeles! Team Leader applications are due 15 January 2019 at 22:00 UTC GMT. Student Volunteer applications are due 12 February 2019 at 22:00 UTC GMT. Team Leader selections will be announced in early February. Student Volunteer acceptances and rejections will be sent by 29 April 2019. Financial Assistance notifications will also be sent at this time. Accepted Student Volunteers will be required to confirm their position in early May. Student Volunteer onboarding will take place periodically via email from April to July 2019. All Team Leaders will be required to arrive in Los Angeles by 25 July 2019 for Team Leader Training on 26 July 2019. All Student Volunteers will be required to arrive in Los Angeles no later than noon on 27 July 2019 for Student Volunteer Check-in and Orientation. Student Volunteers will be volunteering up to 30 hours to help provide operational support at SIGGRAPH 2019 in Los Angeles, California. In exchange for their service and enthusiasm, Student Volunteers will receive a Full Conference badge, networking opportunities, and a number of exclusive Student Volunteer-only perks. All accepted Student Volunteers MUST arrive in Los Angeles no later than noon on Saturday, 27 July 2019 for check-in and Student Volunteer Orientation and depart no earlier than 6 pm PST on Thursday, 1 August 2019. Student Volunteer Orientation is mandatory for all new and returning SVs. Team Leaders will be volunteering approximately 60 hours to help provide operational support at SIGGRAPH 2019 in Los Angeles, California. In exchange for their service and enthusiasm, Team Leaders will receive a Full Conference badge, networking opportunities, 8 nights of accommodation in Los Angeles, partial travel reimbursement, and a number of exclusive Student Volunteer-only perks. All accepted Team Leaders MUST arrive in Los Angeles the evening of Thursday, 25 July 2019 for all-day Team Leader Training on Friday, 26 July 2019 and depart no earlier than 8 pm PST on Thursday, 1 August 2019. Team Leader Training is MANDATORY for all Team Leaders. If you need to decline your position for any reason, please email SV-s2019@siggraph.org as soon as possible so that we can make preparations for your absence. Am I eligible to apply to be a Student Volunteer at SIGGRAPH 2019? You are enrolled full-time as a high school, undergraduate, or graduate student at an accredited institution for at least one semester during the 2018-2019 academic year (Summer 2018 – Spring 2019). Am I eligible to apply to be a Team Leader at SIGGRAPH 2019? 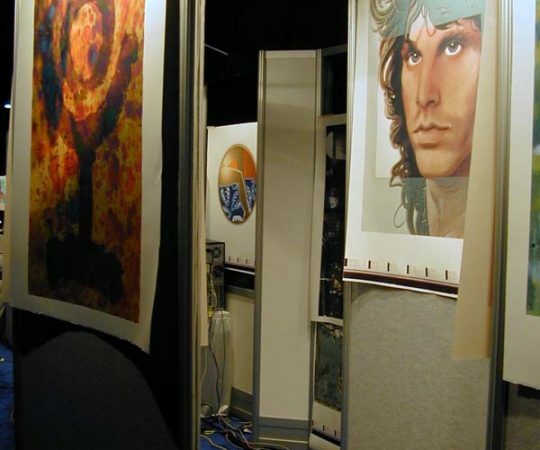 You have at least 1 year of prior experience as a SIGGRAPH Student. How do I apply to be a Student Volunteer? The online application is available at sv.siggraph.org. How do I apply to be a Student Volunteer Team Leader? The application for becoming a Team Leader is the same application form you submit to be a Student Volunteer, plus a few additional essay questions. Applicants will be notified via email of their acceptance for Team Leader positions in early February 2019. Applicants who are not accepted as Team Leaders will still be considered for Student Volunteer positions and will be notified of the final decision by 29 April 2019. Is there any information about this I can share with my students, classmates, and professors? Yes! Feel free to share our 2019 Student Volunteers Call for Participation (Coming Soon) with your colleagues. This easy-to-share presentation provides a general overview of SIGGRAPH and what we look for in Student Volunteers. 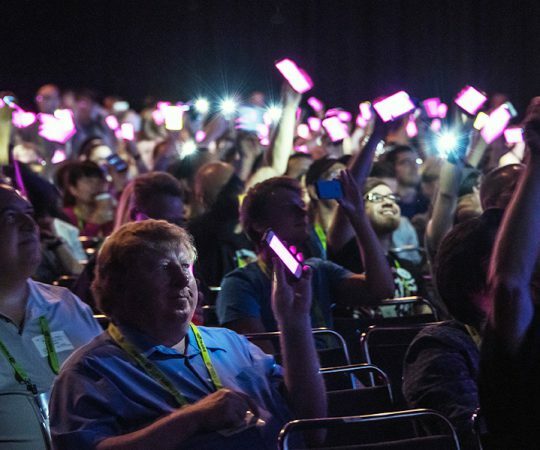 You can also find plenty of information on the official SIGGRAPH 2019 Website. When is the deadline to submit an application to be a Student Volunteer? The deadline for all completed Student Volunteer applications is 12 February 2019, 22:00 UTC/GMT). (Convert to your time zone.) Please note you will be required to upload proof of full-time student status (e.g., transcript, proof of enrollment from your university registrar, etc.). We recommend you allow ample time to gather this information from your institution before the due date. Without this documentation, your application will be marked as incomplete. Please comply with the submission deadlines and ensure that you submit your application by the appropriate day and time. When is the deadline to submit an application to be a SIGGRAPH Student Volunteer Team Leader? The deadline for all completed Team Leader applications is 15 January 2019, 22:00 UTC/GMT). (Convert to your time zone.) Please note you will be required to upload proof of full-time student status (e.g., transcript, proof of enrollment from your university registrar, etc.). We recommend you allow ample time to gather this information from your institution before the due date. Without this documentation, your application will be marked as incomplete. Please comply with the submission deadlines and ensure that you submit your application by the appropriate day and time. Are late, partial, or incomplete submissions considered? No. Due to the high volume of applicants, we cannot accept any late or incomplete applications. Thank you for your understanding. My school does not issue transcripts. What should I use for proof of student status instead? Documents required for the application include a current transcript (official or unofficial) or an enrollment verification letter from your institution’s registrar. This is to confirm that you were enrolled full time for at least one semester during the 2018-2019 academic year (Summer 2018 – Spring 2019). When and how will I be notified if I have been accepted as a Student Volunteer? All applicants who submit a completed application will be notified via email by 29 April 2019. When and how will I be notified if I have been accepted as a Team Leader? Applicants will be notified via email of their acceptance for Team Leader positions in early February 2019. The application for Financial Assistance is included within the application form you submit to be a Student Volunteer. There is a section of the application form devoted to this topic. Notifications of Travel and Housing Assistance will be emailed to those selected to be Student Volunteers between 29 April and 31 May 2019. Please note that financial assistance awards are not guaranteed. As a Team Leader, am I eligible to apply for Financial Assistance? Yes. If you wish to apply for Financial Assistance, regardless of whether you are applying for Team Leader or not, please complete the requested section. Accepted Team Leaders are provided 8 nights of accommodation and partial travel reimbursement for their service. If you are not selected to be a Team Leader, you will still be considered for a Student Volunteer position along with your request for financial assistance. You can change your contact information, including your email address, through the online submission system at any time. Who will jury my Student Volunteer application? Student Volunteer applications are juried by the Student Volunteer Subcommittee and Team Leaders. They are evaluated individually on a blind basis, meaning a Student Volunteer applicant’s identity will not be revealed until after all Student Volunteer applications have been juried and appropriately scored. This is to ensure an unbiased evaluation across all applications. Who will jury my Team Leader application? Team Leader applications are juried by the Student Volunteer Subcommittee (SVSC). They are evaluated individually and Team Leader selections will be sent in early February. If you are not selected for a Team Leader position, your application will return to the Student Volunteer application pool and will be juried in the next phase. What criteria will my application be evaluated on? Student Volunteer applications are as diverse as the thousands of applicants from across the world who make up our team. Apart from overall completion, eligibility, and proof of enrollment, there is no hard criteria we look for in Student Volunteer applications. Instead, we evaluate applications based on quality, clarity, and passion for SIGGRAPH. We are looking for volunteers who can clearly communicate their leadership skills, dedication to service, enthusiasm, passion, and the value they will uniquely bring to a team. For Team Leaders in particular, we are hoping to identify individuals who are interested in growth and have a past history of great performance as a Student Volunteer, who can be trusted with a greater level of responsibility and decision-making authority. What should I mention in my Student Volunteer application? If you have experiences in customer service, leadership roles, volunteerism, and other service-focused endeavors, we’d love to hear about them. Student Volunteer applications that communicate clear examples of past experiences that make you exceptional volunteer material are extremely helpful to our jurying team. We’re looking to build a volunteer team from the best of the best, and that effort begins with your ability to communicate your qualification. Please read each application essay question thoroughly and allow yourself plenty of time to craft a thoughtful answer. What should I mention in my Team Leader application? Team Leaders are Student Volunteers who take on a supervisor role and act as liaisons across the different areas of the conference. If you have experiences in leadership roles, customer service, volunteerism, and other service-focused endeavors, we’d love to hear about them. Team Leader applications should communicate clear examples of past experiences that make you exceptional volunteer material. Can I revise or add information to my application after the submission deadline? No. All submitted applications are evaluated as your final submission. Edits are not permitted after the submission deadline. Can I withdraw my Student Volunteer and/or Team Leader application? I was offered a position to be a Student Volunteer in 2019. What does this mean? Congratulations! As a Student Volunteer, you will be volunteering up to 30 hours of your time to help provide operational support at SIGGRAPH 2019 in Los Angeles, California. In exchange for your service and enthusiasm, you will receive a Full Conference badge, networking opportunities, and a number of exclusive Student Volunteer-only perks. What will my duties as a Student Volunteer include? As a Student Volunteer, you commit to volunteering up to 30 hours of your time between Sunday, 28 July at 8 am PST – Thursday, 1 August at 6 pm PST. Your shifts will be diverse and can change depending on the needs of the conference, but we will always provide you with 24 hours notice before this happens. Be prepared for all sorts of jobs.  Many Student Volunteer duties include ushering, monitoring doors, checking badges, taking room counts, answering attendee questions, and helping contributors demo technologies. Some shifts require specialized skills such as language translation or video-editing. 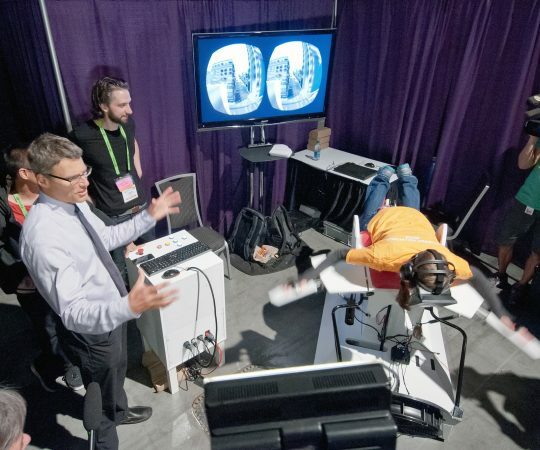 Then, there are even more where you could be called on to wear inflatable costumes, make arts and crafts in the Studio, wear robotic arms and headsets, and get attendees excited to be at SIGGRAPH 2019. No matter what, it’s always an adventure. What are the expectations of a Student Volunteer? Failure to meet the aforementioned expectations may result in loss of Student Volunteer status and all related benefits. When will I be expected to arrive in Los Angeles? All accepted Student Volunteers MUST arrive in Los Angeles no later than noon on Saturday, 27 July 2019 for check-in and Student Volunteer Orientation. This is MANDATORY for all new and returning Student Volunteers. We will have important information to disseminate and possibly a few special events in the evening. Failure to arrive on time may result in loss of Student Volunteer status and all related benefits. When should I plan to leave Los Angeles? All accepted Student Volunteers should be available for work through 6 pm PST on Thursday, 1 August 2019. We highly recommend that students wait to depart until Friday, 2 August, to celebrate a successful conference. I’m a Student Volunteer who received financial assistance, and I will arrive a day early at the conference. Can I get an extra night of accommodation? No. SIGGRAPH-provided housing for Student Volunteers is available for check-in on Saturday, 27 July 2019 and check-out on Friday, 2 August 2019 only. I did not receive financial assistance. What other options do I have for housing? You may be interested in the discounted hotel accommodations available through the SIGGRAPH 2019 Website. You can also connect with other Student Volunteers through our Fan Page on Facebook, which may help you find other Student Volunteers to share housing. In late spring, we will be inviting all confirmed Student Volunteers to the SIGGRAPH 2019 Student Volunteer Facebook Page and will provide avenues through both Facebook and email to connect with others to reduce costs. When will Student Volunteer work schedules be available? We plan to have schedules available for students to view about two weeks prior to the conference. We will release schedules as early as we can! NOTE: Schedules are not final until 24 hours prior to a shift. We try to change schedules as little as possible, but sometimes situations arise that make adding, moving, and/or otherwise rescheduling certain shifts necessary. Students are responsible for checking their schedules daily to receive any schedule updates. What happens if I have a scheduling conflict with work, school, an opportunity to interview at the conference, etc.? We cannot schedule around work, school, extra-curricular activities, or job interviews. 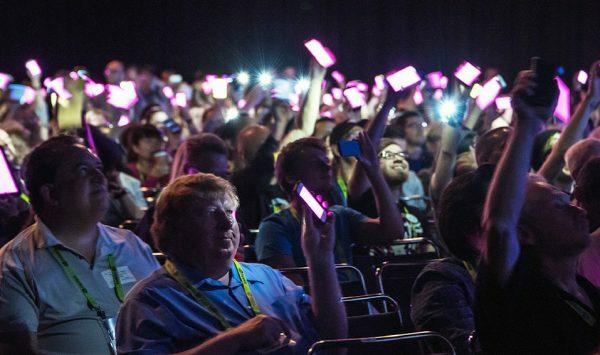 When you accept your position as a Student Volunteer at SIGGRAPH 2019, you pledge your availability for the entirety of the conference as well as the Saturday prior to it, 27 July – 2 August 2019. You will only be assigned up to 30 hours, but your availability during that time must be open. If you do find yourself with an extenuating circumstance, such as an interview for a job or internship, an appointment with a mentor, etc., we will do our best to work with you on your schedule conflict. Most shifts will be between 7:30 am and 6 pm, though there may be some shifts that last as late as 11 pm. Are meals provided to Student Volunteers? No. Each student is responsible for their own meals at the conference. Depending on available funding, Student Volunteers may receive a limited number of meal vouchers for use in the Los Angeles Convention Center’s concessions. Please budget for your meals as you plan your travel to Los Angeles. Lightweight, comfortable clothes and shoes (appropriate t-shirts, polo shirts, shorts, jeans, trousers, sneakers). Many attendees dress casually during the conference and formal business attire is generally not required. Although you can dress casually, please make sure that any shorts or skirts are at least knee length. It is also good practice to avoid wearing clothing that reveals large amounts of skin. First and foremost, SIGGRAPH is a professional conference, so please be sure to dress in a way that represents you as a professional. It is very important that you bring comfortable shoes! You will be walking quite a bit during the week, and comfort is key. Also, bring a light sweater, sweatshirt, or longer-sleeved shirt. 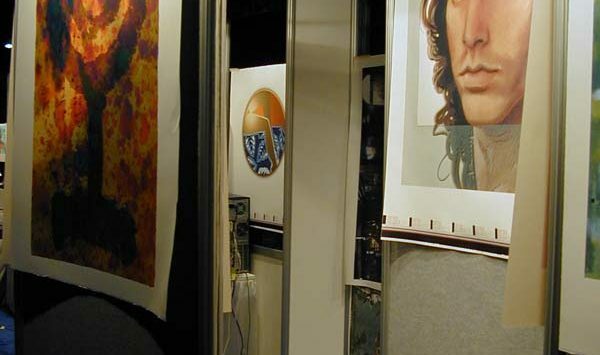 All rooms inside the convention center are air-conditioned. Please remember that this is a professional conference. If you are not sure if something is appropriate or could be considered offensive, please ask! We seek to make sure all volunteers and students are comfortable. How early or late will I be expected to work? Depending on the duties assigned, students may have shifts that start as early as 7:30 am. Student Volunteers need to report to the Student Volunteer Office at least 30 minutes prior to their shift’s start time to be marked present. Students will then be taken to their assignments by their Team Leader. Most of events will be finished around 6 pm or 7 pm at the latest. However, there are some shifts that do run later. Some students may have schedules that run as late as 11 pm. Am I responsible for my visa if I am traveling internationally? What are the passport and visa requirements? Yes. You are required to follow all applicable United States State Department traveling regulations to enter the U.S. Please let us know if you have any questions or require proof of volunteering. What does my ACM SIGGRAPH Student Membership get me? ACM SIGGRAPH Members (as well as Student Members) enjoy discounts on SIGGRAPH and SIGGRAPH Asia Conferences as well as partner conferences, access to the SIGGRAPH portion of the content in the ACM Digital Library, archives of Computer Graphics Quarterly online, and a siggraph.org forwarding email address. In addition to all of these standard member benefits, SIGGRAPH Student Services (S3) offers year-long services, such as resume and reel reviews, webinars, and mentoring services to ACM SIGGRAPH Student Members focusing on computer graphics and interactive techniques. Check out their Facebook page and website. How do I apply for other areas of the SIGGRAPH conference? Please see the Volunteering Opportunities section of the SIGGRAPH 2019 website. I have been accepted as a Student Volunteer but am no longer able to attend the conference. Who should I notify? I was not offered a position to be a Student Volunteer in 2019. What are my options? There are still lots of avenues to volunteer with SIGGRAPH. SIGGRAPH Asia 2019 in Brisbane, Australia will be accepting applications through Autumn 2019. You can fill out the Conference Volunteer Form to see if other areas of the conference such as the International Relations Committee or Chapters need assistance too. Students are also offered a considerable discount on registration. If your question is not answered on this web site, please send a message to the Student Volunteer Subcommittee at SV-s2019@siggraph.org. I was offered a position to be a Team Leader in 2019. What does this mean? Congratulations! As a Team Leader, you will be volunteering approximately 60 hours of your time to help provide operational support at SIGGRAPH 2019 in Los Angeles, California. In exchange for your service and enthusiasm, you will receive a Full Conference badge, networking opportunities, 8 nights of accommodation in Los Angeles, partial travel reimbursement, and a number of exclusive Student Volunteer-only perks. As a Team Leader, you will be committing time to several virtual training sessions in the months preceding the conference, as well as an all-day training session on Friday, 26 July 2019. What will my duties as a Team Leader include? As a Team Leader, your duties will revolve around making sure the venue you are assigned to is properly staffed and has operational support at all times. Your duties will include checking in and dismissing Student Volunteers from their shifts, escorting Student Volunteers to their shifts, assigning Student Volunteers their duties, resolving attendee problems, and acting as a liaison between the Student Volunteers and the venue or program you have been tasked to manage. In this capacity, Team Leaders are entrusted with a supervisory role over Student Volunteers. This means you’ll need to resolve conflicts, answer questions, and make sure that Student Volunteers are comfortable and well supported in their roles. What are the expectations of a Team Leader? Above all, Team Leaders are expected to serve their fellow Student Volunteers and the conference with professionalism, enthusiasm, friendliness, and helpfulness. As future leaders of the conference, Team Leaders are expected to take initiative within the Student Volunteers. This means looking out for one another and paying extra attention to the morale and condition of Student Volunteers. Team Leaders are expected to take the extra time to make sure all our team members are well supported. All accepted Team Leaders MUST arrive in Los Angeles the evening of Thursday, 25 July 2019 for all-day Team Leader Training on Friday, 26 July 2019. This is MANDATORY for all Team Leaders. All accepted Team Leaders should be available for work through 8 pm PST on Thursday, 1 August 2019. We highly recommend that students wait to depart until Friday, 2 August, to celebrate a successful conference. Team Leaders can expect their work to last a full day – typically beginning at 7 am local time and ending around 7 pm local time. Some venues have hours that run as late as 11 pm, and Team Leaders responsible for these venues should expect later hours as well. The physicality of the Team Leader role is very real and can lead to exhaustion if not taken seriously. This is why we take extra care to ensure that Team Leaders have breaks and opportunities to rest throughout the work day. I have been accepted as a Team Leader but am no longer able to attend the conference. Who should I notify? I was not offered a position to be an Team Leader in 2019. What are my options? Your application will still be considered among the pool of Student Volunteer applications. If you wish to withdraw your application from this pool, please email SV-s2019@siggraph.org as soon as possible. There are also lots of other avenues to volunteer with SIGGRAPH. SIGGRAPH Asia 2019 in Brisbane, Australia will be accepting applications through Autumn 2019. You can fill out the Conference Volunteer Form to see if areas of the conference such as the International Relations Committee or Chapters need assistance too. Further, students are also offered a considerable discount on registration.